A roofing project can easily cost several thousand dollars, which is why it’s important to hire the right people. 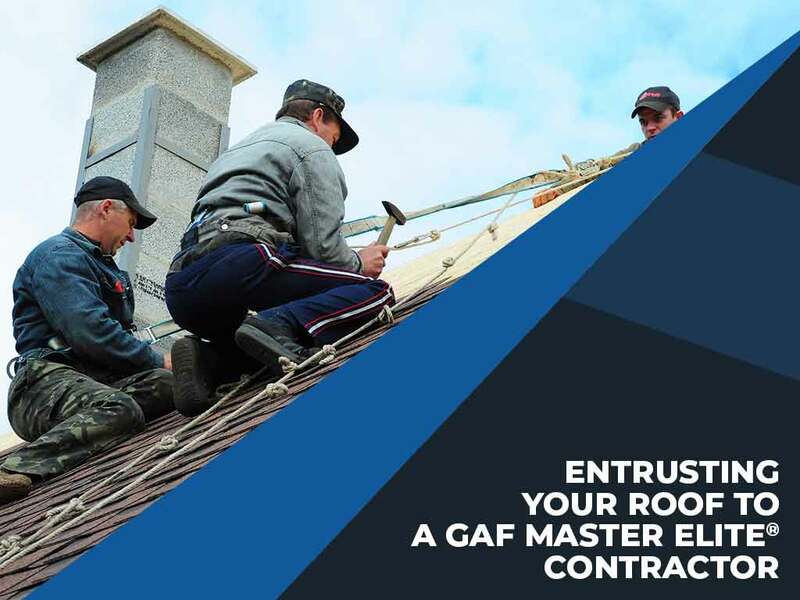 Anybody with several roofing tools can claim to be a professional roofing company, but you can’t go wrong with a certified GAF Master Elite® contractor. Knowing what separates roofing contractors that qualify for this title from other roofers should be more than enough reason to entrust your next roofing project to them. The prestigious title of Master Elite® contractor was built from the biggest roofing manufacturers in the country. Created to ensure better customer satisfaction, the title can only be awarded to roofing companies that meet a strict series of requirements. Only three percent of all roofers in the US are qualified to be recognized as GAF Master Elite contractors – that’s as “elite” as it gets in the roofing industry. Exactly how strict are the requirements to be considered the best in the business? Aside from a 99 percent customer satisfaction rating, good credit scores, and a spotless workmanship record, roofing contractors that want to qualify for the title must also have been in the business for at least seven years and have a minimum of 1 million dollars worth of worker’s compensation and liability coverage. Trusting a GAF Master Elite roofing company like ours isn’t just about making sure you get a good-looking roof. Part of qualifying for the title involves dedicating a ton of effort to providing good quality customer service. This means you can expect to have a properly installed roof AND experience world-class customer support in the form of professional communication, extensive warranties and other post-installation services to make sure your roof stays in top condition. Not looking for a new roof? That doesn’t mean you can’t give your roof the Master Elite treatment. Aside from roofing installation or replacement, our team of experienced professionals can provide all kinds of roofing services ranging from routine visual inspection to extensive roof repair. Experience what it’s like to get help from a Master Elite contractor. Signature Exteriors is the leading provider of roofing services in Fairfield, CT and White Plains, NY. You can contact us (866) 244-8029 or fill out our contact form for further inquiries.